The St. Vlas resort on the Black Sea Coast has become one of the most attractive destinations for foreign investors in the past several years. The newest complex in the resort Casa Real is one of the largest and most luxurious projects on the Black sea Coast. It is situated in close proximity to several 5-star hotels in Sunny Beach. 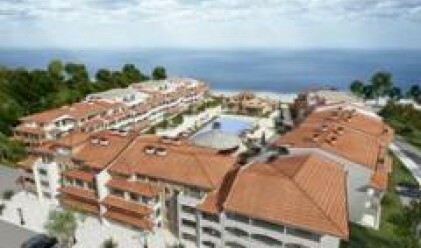 Total built-up area is 25,000 square meters, all apartments are to have a view of the sea. Casa Real will feature 150 luxury apartments and 6 VIP penthouses. The construction follows all standards for a 5-star hotel complex. All materials used are of highest quality. The developer Pacific Construction said the complex will open doors next month. It is designed in Spanish style. Casa Real will feature a swimming pool, a luxury restaurant on two levels, a coffee shop, a pharmacy, shops etc. Apartments may be paid in installments, after a deposit in advance.